The application of pre-emergent herbicide involves the usage of large volume tanks to apply a weed deterrent chemical on landscaping soil/rock areas prior to forecasted precipitation. 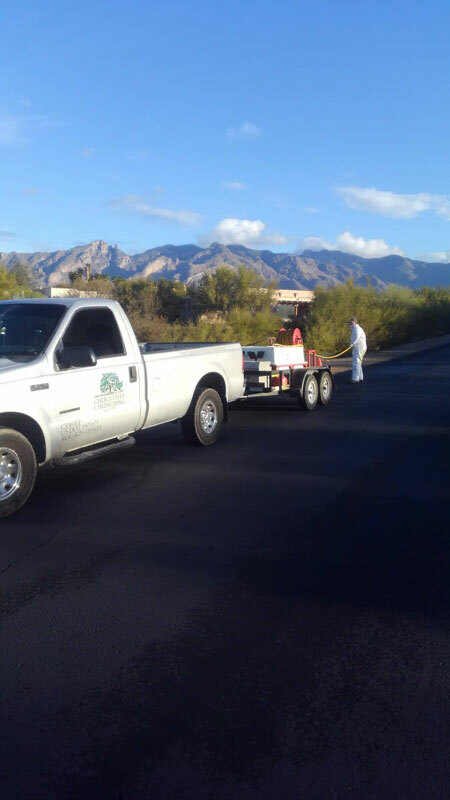 The application process is performed under the guidelines of the State of Arizona, Department of Agriculture in compliance with the E.P.A. All applicators of this chemical are required to be licensed by the Office of Pest Management. 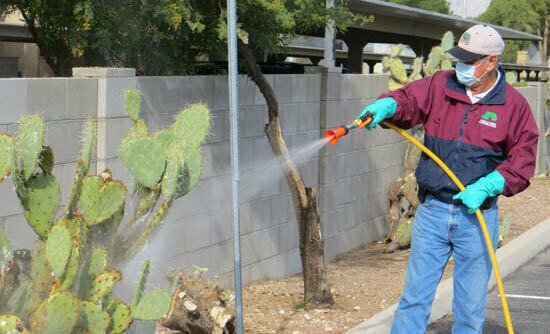 The application of pre-emergent herbicides drastically reduces the population of germinating weeds in the treated areas WITHOUT damage to the existing landscaping. 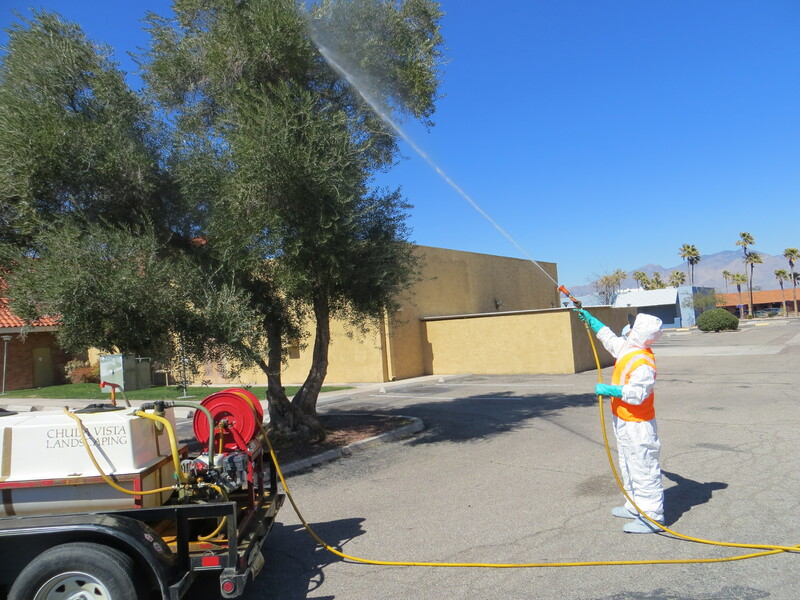 OLIVE NEUTRALIZATION: This s a chemical application using a high powered sprayer to treat the canopies of the Olive Tree at budding, prior to full bloom, in the early spring. This process is 85% effective in the reduction of olives which some feel is a large nuisance for such a beautiful shade tree. All applicators of the chemical need to be licensed by the Office of Pest Management. WINTER RYE OVERSEEDING: This labor intensive project requires the scalping of the existing Bermuda grass in the early fall as it is about to enter its dormant state. A blend of winter grass seed (winter rye) is spread over the newly scalped area, covered with mulch (if needed) and intermittently irrigated to keep the seed moist but not overly wet. Once germinated, the grass will appear beautiful and green providing some much needed color to a property where most other plants have gone dormant.